On Sept 6th I announced that, after a long period of careful consideration, I had made the difficult decision that my future disc golf goals are not well aligned with Discraft’s business plans and that I was no longer representing the company. I have had many questions about this announcement, and now that a bit of time has passed and I have a bit more perspective, I would like to share more about this decision. My association with Discraft started as a personal relationship with Gail McColl and Jim Kenner and an informal sponsorship. Then, as the company grew, it developed into a formal sponsorship on Team Discraft. As the years went by, first Gail, then Jim stepped back from the day-to-day running of Discraft, and my relationship gradually shifted to a business relationship, although I did not consciously recognize this shift. I have had several significant changes in my life this year, including leaving my job at a pharmaceutical manufacturing company after 21 years and starting a consulting business. This allowed me more time to play bigger events involving more days away from home than would have been possible while holding down a full time job. It really was a journey of discovery, as I found that I am still competitive in the FPO field and that people I have never met recognize me both on and off the course. During my travels I was overwhelmed by the number of people reminding me of when we played a round together, or how I gave them a tip that helped their game, or spent time helping their child. It eventually crystallized that I am probably more recognizable now than I have ever been, due to my good fortune to be on the lead card in several big tournaments with film coverage, combined with my longevity in the game. Since I moved to the U.S. six years ago, I have been repeatedly asked an awkward question, but this year I have been asked the same question more times than I can count: “Why don’t you have a signature disc?” When I explain that I have not met the criteria to merit one of the discs that Discraft has launched this year, I get a variety of reactions, all of which have reinforced my disappointment that I have never been considered a valuable marketing asset by Discraft. For many years I had been telling myself that my key accomplishments are too far in the past for me to be considered relevant, but in recent months I have been reevaluating my self-assessment. The decision to leave Discraft has been the toughest decision that I have ever had to make. Although my most recent conversations with Discraft took on a completely different nature, I had to conclude that my reasons for leaving could not be remedied. If one needs to ask for recognition, it is no longer recognition. I want to emphasize that I am not faulting Discraft’s marketing plan. The promotion of touring players is certainly a marketing plan shared by many manufacturers. It is simply a strategy that I do not fit. I want to thank all the people who have given positive comments and good wishes on my announcement and on related posts. Many of you are my friends, but there are a huge number of people who I do not know who have expressed support and appreciation. I find this amazing and heart-warming. Coincidentally, PDGA board members have been wooing me all year to join the board. Although I did not run for election due to the uncertainty with my work situation, I now find myself in a position where I will be able to commit time to serve PDGA members and was thrilled to be appointed to the PDGA board. For all of you who have encouraged me through my long disc golf career, I am glad to serve you once again. 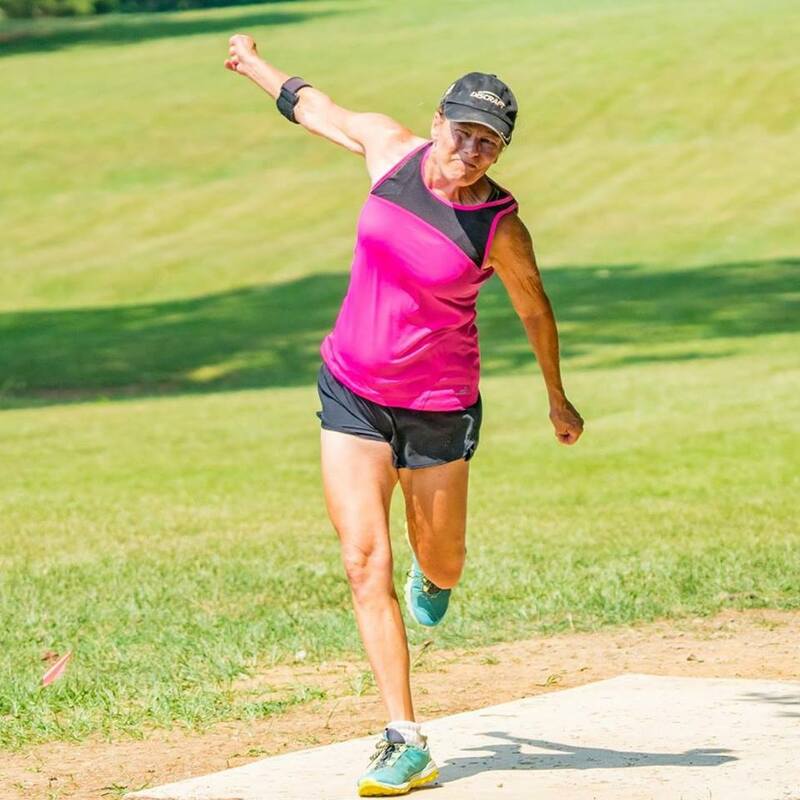 I will be sharing my journey as an unsponsored player on my Facebook page, “Elaine King – Pro Disc Golf,” and invite you to follow along. 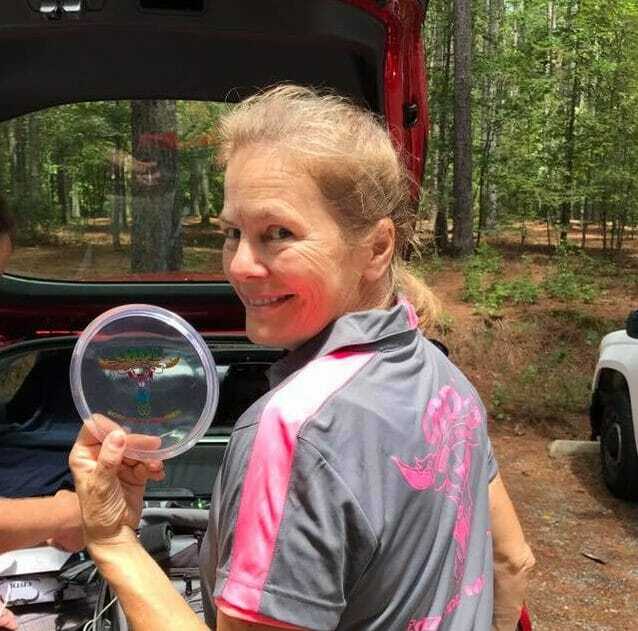 Elaine King is a five-time PDGA World Champion who currently resides in Durham, North Carolina. Comments on "In Her Own Words: Elaine King"